Story : Lee Pyung Kang (Nam Sang Mi), a strong-headed lowly chores employee at the resort town who wanted to follow in her dead father’s footsteps to become a golf course designer meets up and crashes with Woo On Dal (Ji Hyun Woo), the prodigal son of a rich man. As romance blooms between them through their constant disagreements and fights, unpredicted events occurred like their love were destined to be tested. Could it be coincidental or fate as their names implicate their past lives could linked to the infamous crybaby Princess "Lee Pyung Kang" and the stupid "On Dal" who had pledged to love each other forever. She may have been the infamous crybaby "Princess Lee Pyung Kang" in her previous life but in this life, she is the head-strong and stubborn lowly chores employee at the resort town who wanted to follow in her dead father’s footsteps to become a golf course designer, she works hard at work and is proud of it. Everything was going well for her until she meets Woo On Dal, the hateful prodigal son of the rich man who employed her. Although sparks of anger always seen whenever she and On Dal are together as they are always bickering whenever they meet. But she still wonders sometimes if they had already met a long time ago as she finds him strangely familiar and why is she developing a strange endearing feeling for him, shouldn't she be hating him for making her life miserable? 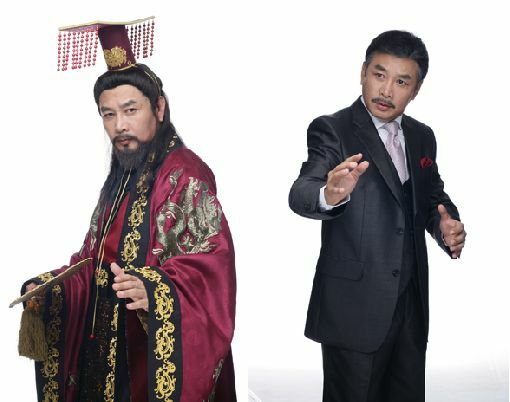 On Dal, the most famous fool in Korean history who is often bullied by people around because of his good nature and over-honesty in his previous life has managed to turn his fate around in his present life as Woo On Dal, the son of a rich man. Being sharp-tongued and cold, he commands fear and respect from the people around him. So how dare that lowly employee, Lee Pyung Kang go against him and causes him to get into embarrassing situations all the time? But why is he feeling the sting of jealous whenever he sees Edward getting close to her? Born to an American father and a Korean mother, he is a professional golfer who won PGA Championship several times since he was young. As a daddy long-legs suitor of Lee Pyung Kang, he got to the nerves of Woo On Dal who realized that he has fallen for the stubborn girl. In her past life, she was the love rival who lost in her battle of love against Princess Pyung Kang who came into Woo Dal's life. But in this present life, she is a model and the girlfriend of Woo On Dal and she is the only person that On Dal loves whole-heartedly despite his cold exterior. But why has On Dal began to change since he met Lee Pyung Kang? Although he is becoming more like a human instead of the ice prince that he has always been, she feels that they are drifting further apart. She was the evil queen that separated Princess Pyung Kang and On Dal during 1400 BC and followed their reincarnations into their present lives as well. Being a real estate tycoon who has ambitious plans and Woo On Dal's step-mom, she creates troubles and misunderings between Pyung Kang and On Dal as they get into the way of her plans . Will she be able to keep the destined couple separated or be out-witted by them this time? He lost his childhood memories and parents due to a Gangwon landslide accident when he was young. It caused him to have autism and can only express his feelings through rap music which is like a medcine to heal his inner wounds. He is in love with Jo Bi Yun who is a divorcee. In her previous life, she was Pyung Kang's loyal palace maid who will risks her life to protect Princess Pyung Kang from danger and harm. And in her present life, she is loyal friend and Unni to the stubborn Pyung Kang who protects her like always. She is the girl that Jo Sun In likes but Jo Bi Yun has always tried to reject him not only because she is a divorcee but also because of their age differences. 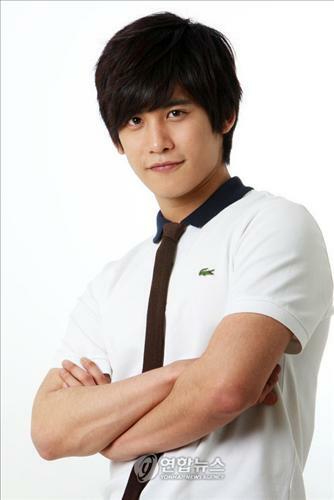 He is the son of Real estate tycoon, Je Hwang Hu and the step-brother of Woo On Dal. He is a person who has skills and resourcefulness to deal with others no matter where he goes but he was forced to give up on his dreams and love due to his mother's ambitions. In the past life, he was the father of Princess Pyung Kang who threatened the crying princess that he was going to marry her off to the stupid On Dal if she doesn't stop but ended up regreting his words when Pyung Kang insisted on marry On Dal due to his promises. He kept rejecting On Dal until Pyung Kang made On Dal worthful to his eyes through her 'training'. In the present life, he became On Dal's father instead who is constantly worried and angry over the actions of his wayward son. So it's time for Pyung Kang whom he has taken a fatherly liking to 'train' On Dal up again to stop his ambitious new wife and step-son from taking over his 'Kingdom'. Do not request for Vids either. Just dled from what the other soompiers provide you. Anyone who posts these kind of requests or spam will be reported to the mods immediately. a lot of my favorite actors are in this. kim heung soo and park ki woong..
Oooh, freshies stars!! Nam Sangmi, Park Kiwoong, Ji Hyunwoo, Yun Mijoo! I really loved Yeon Mijoo's last role in Just Looking, she was hilarious. I hope she'll be given meatier role here. oo i like the cast. YAY it's been a while since NSM came out, can't wait!!! why isn't there any piece of news in English about the appearance of this drama ? i just find out news in Korean. i need to translate that news into Vietnamse but I don't know Korean. Ahn Hye Kyung joins the cast of KBS 'Invincible Lee Pyung Kang'. Filming of the drama has already started in a Kang Won resort. Park Ki-woong (Story of a Man) is the latest to join the cast of KBS’s drama Unbeatable Lee Pyung-kang [천하무적 이평강], which has already cast Nam Sang-mi (Gourmet), Ji Hyun-woo (My Sweet Seoul), Cha Ye-ryun (A Star’s Lover), and Seo Do-young (Friend, Our Legend). Meanwhile, Park Ki-woong may finally be moving away from his prior image as a guy who was famous for not a whole lot (he admits to not understanding how to work on his acting until his recent noteworthy turn as an adorable autistic financial genius in Story of a Man). Previously known more for his cute and quirky appearance than anything, I’m going to guess he owes SOAM at least a little for this latest character, who is also autistic and speaks with a stutter due to a traumatic memory of losing his parents at a young age in a landslide. He finds comfort in music and rap. (Park is currently busy studying his character and practicing his rap/dance moves.) The character later falls in love with divorcee Yeon Mi-ju (bleh), but the family opposes the match because of their age difference. Are you wondering how the story fits together? So am I. I’m not so sure about the writer-director combo, since Park Kye-ok wrote the frustrating Cain & Abel and Lee Jung-seob directed Hong Gil Dong, which was written and acted better than it was directed. 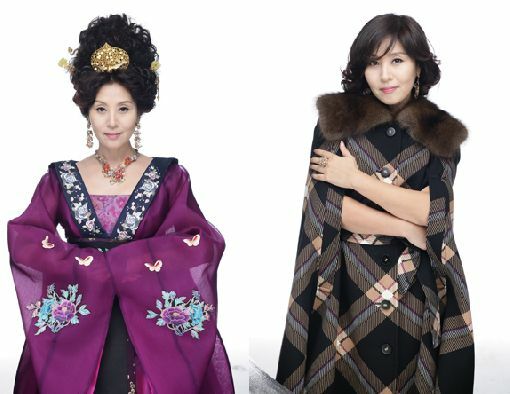 Unbeatable Lee Pyeong-gang began filming on October 1 and will premiere on KBS Mondays and Tuesdays following Princess Has Returned on November 9. Good luck going up against Queen Seon-deok! the story seems so interesting kkk.. reincarnation???? i am waiting for this especially PKW..
Pyeong-gang moved to Gang-won Province, far away from Seoul as a teen due to her father’s occupation. Thanks to him, a renowned golf course designer, Pyeong-gang was able to fully understand every detail of golf course planning while growing up. Her father, however, unfortunately met with an untimely death before completing his ambitious work. Frustrated, Pyeong-gang tried to support the family, but the harsh reality didn’t allow her and the rest of the family to live a comfortable life. Pyeong-gang who wanted to follow in her father’s footsteps to become a golf course designer, has to come to terms with the reality. She is now the bread-winner of the family, living paycheck by paycheck. She does chores at a resort town where she meets Ondal, the owner’s eldest son. Ondal’s charismatic father Pyeong-on demands Ondal pass the semi-pro qualification test in a month .When he fails to make it, Ondal is told that he will be removed from the inheritance list due to his incompetence. To make matters worse, Pyeong-on collapses from a sudden stroke and in the midst of misfortune rumor circulates that Ondal’s step mother and her son are going to take over the resort town. Being cornered, Ondal has no other choice but to stand on his own feet, but for Ondal who lacks competence and determination, retaking the resort is beyond his capacity. Ondal and Pyeong-gang on bad terms with each other from the first time they met, join hands and Pyeong-gang’s journey to taming the spoiled heir finally begins! It's has been a while since Nam Sang Mi's last drama. I'm excited to watch this new drama of hers. Happy that it's KBS too since I have KBS World...I'll be able to watch it on tv. 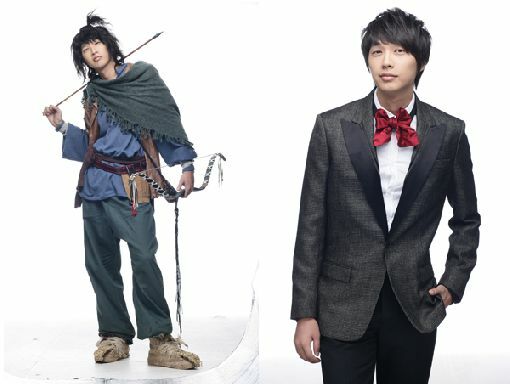 Ji Hyun Woo..I liked him in Over the Rainbow I'm excited to see if he and NSM have chemistry. Oh well, November is just around the corner. I like Sang Mi ! The drama seems very interesting and amusing. They did a parody of Abracadabra by BEG... looks like it's gonna hecka hilarious!